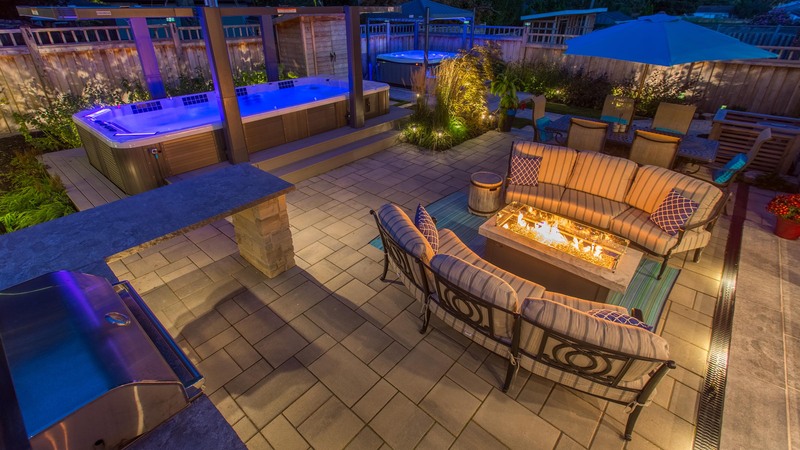 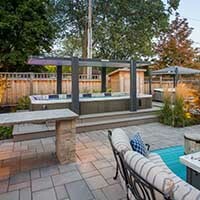 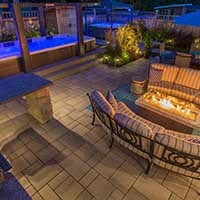 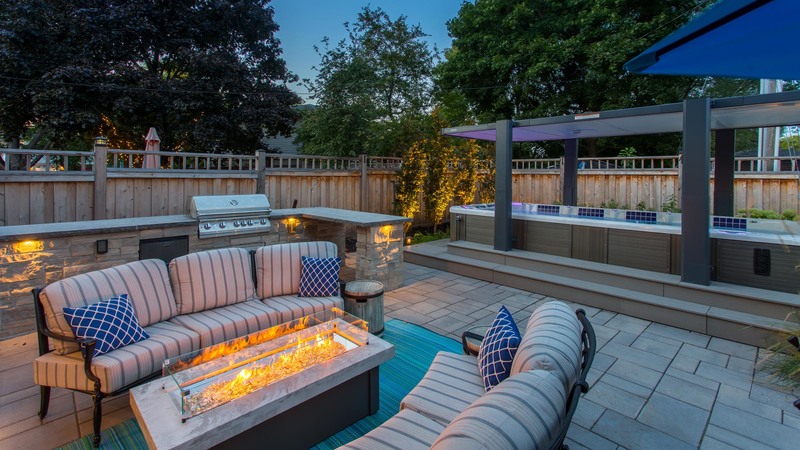 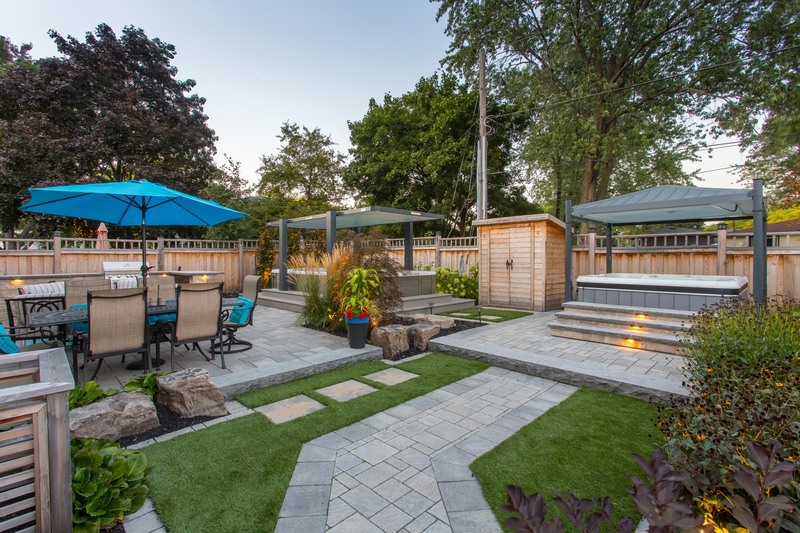 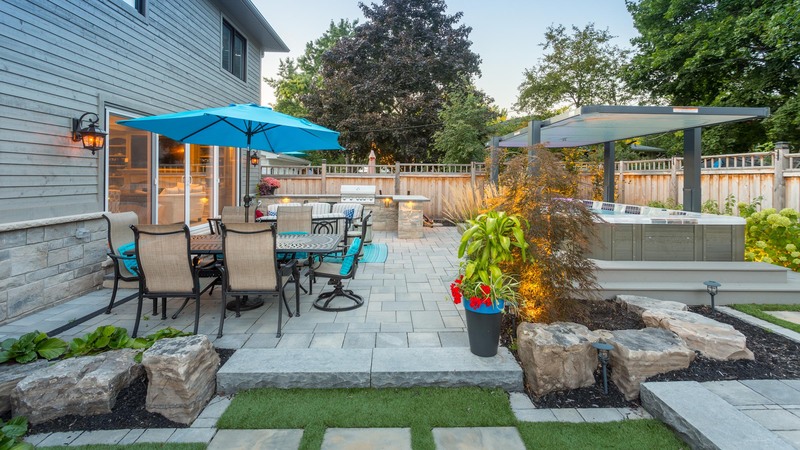 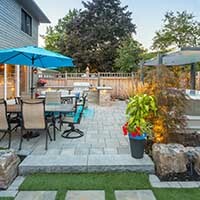 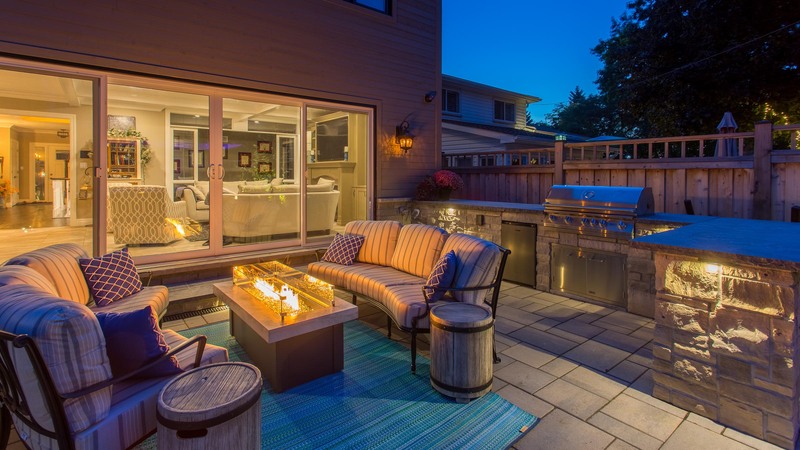 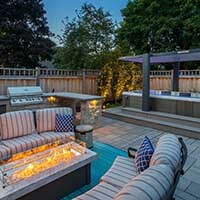 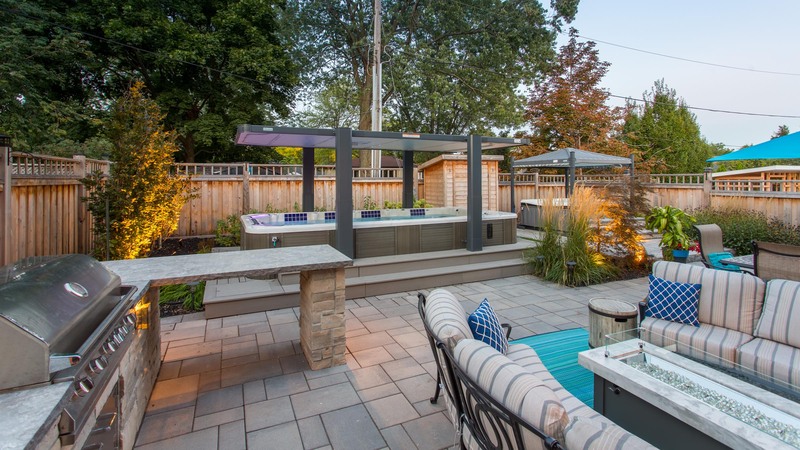 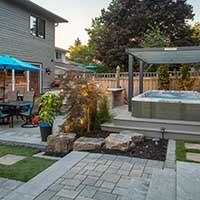 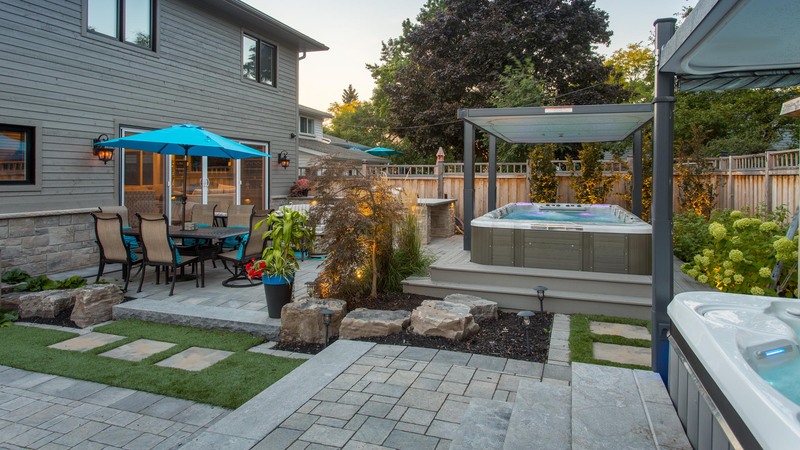 Indoor and outdoor living spaces needed to flow seamlessly, along with a variety of outdoor components such as a swim spa, hot tub, grill island and patio areas. 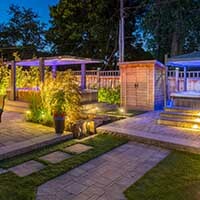 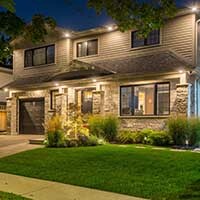 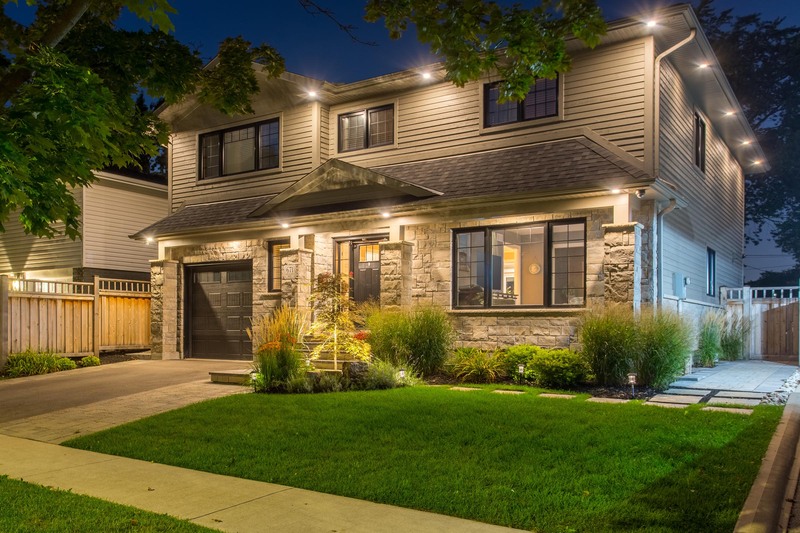 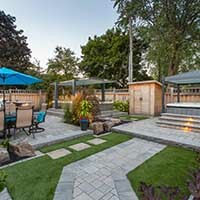 The lighting system needed to work with a variety of textures, such as masonry, plant materials, carpentry and artificial turf, and a fair amount of off-color street lighting made this a real challenge. 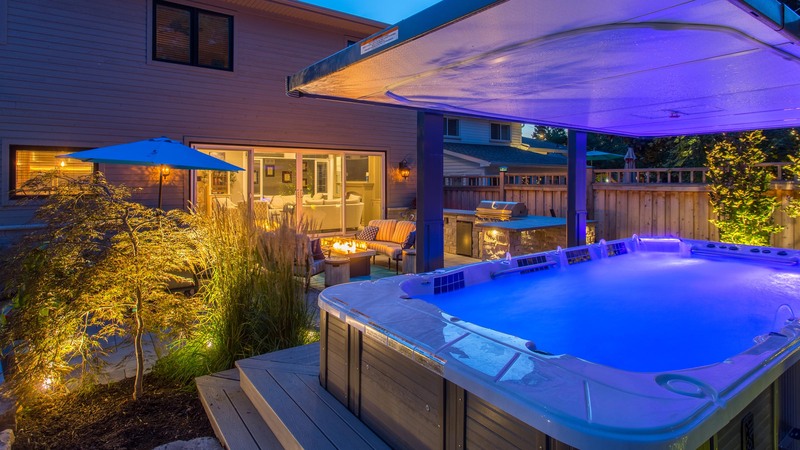 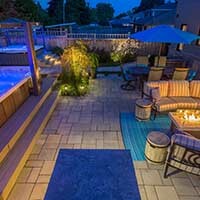 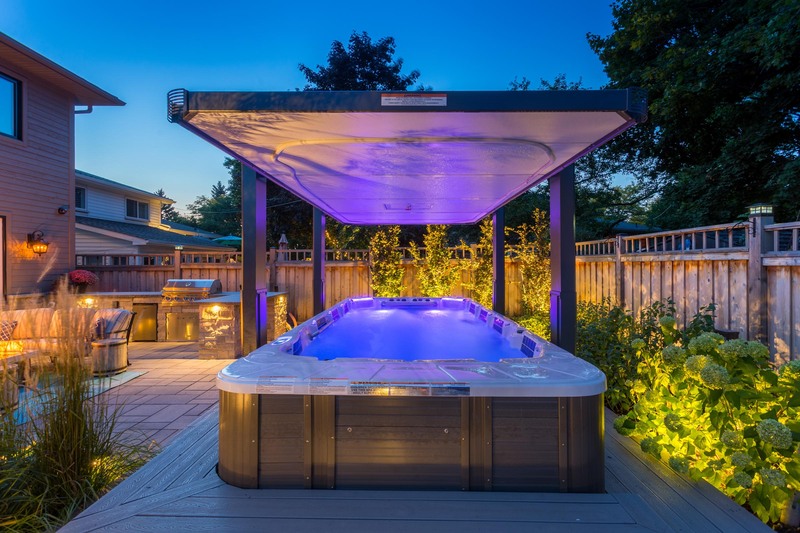 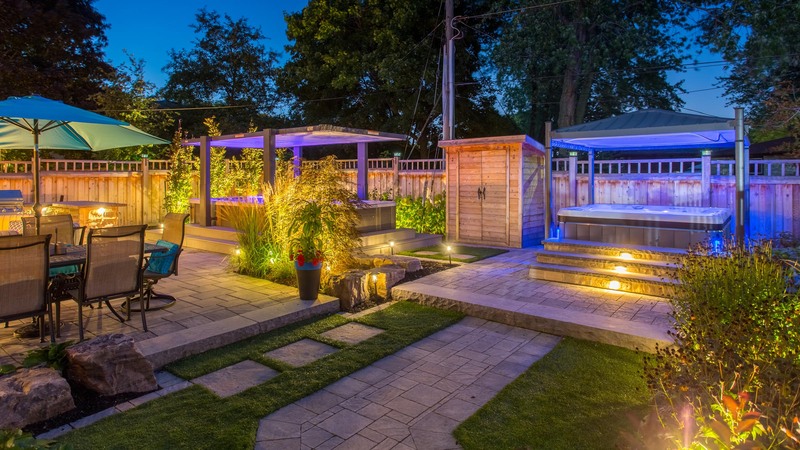 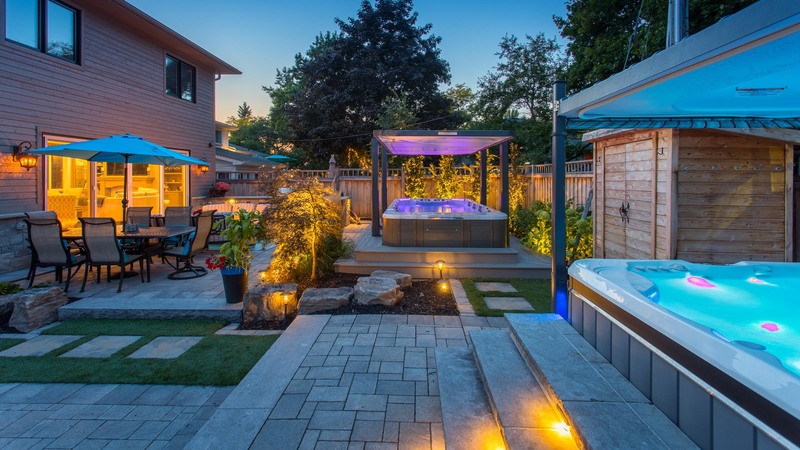 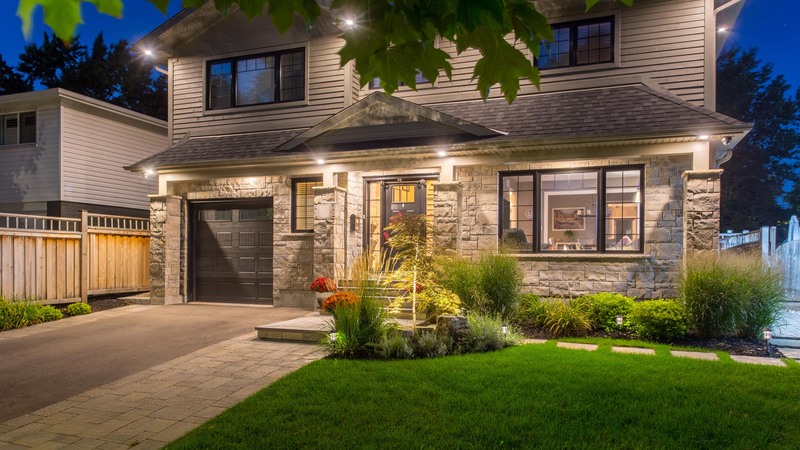 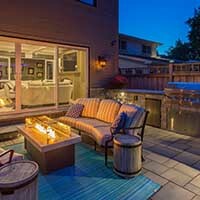 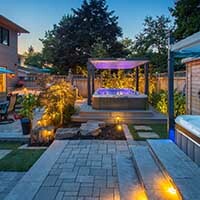 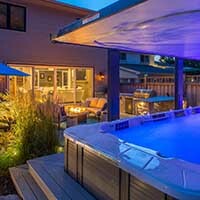 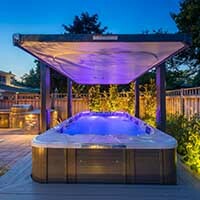 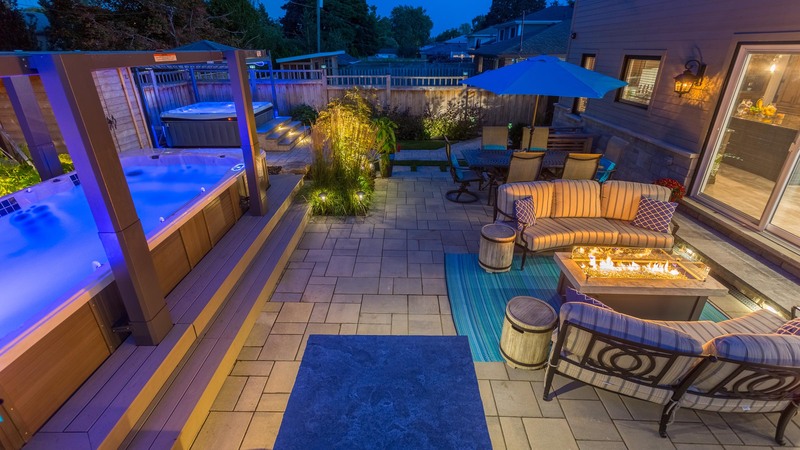 The lighting system was incorporated into the home automation system and can be controlled remotely along with the LED systems in the swim spa and hot tub covers. 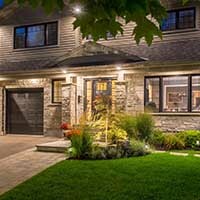 Our client can now see clearly from inside to outside, all day and all night!